Update 12/03/2018: The December 4 hearing has been postponed, but it could be rescheduled. Keep telling the Senate to vote "no." With just a week left for this Congress, one of the weirdest bad copyright bills is back on the calendar. The “Register of Copyrights Selection and Accountability Act” would make the Register of Copyrights a presidential appointee, politicizing a role that should not be made a presidential pawn. On Tuesday, December 4, the Senate Committee on Rules and Administration is scheduled to vote on S. 1010, the Senate version of the “Register of Copyrights Selection and Accountability Act” already passed by the House of Representatives as H.R. 1695. If it passes out of the committee, the whole Senate will be able to vote on it with only days left in the 2018 session. Currently, the Register of Copyrights is appointed by the Librarian of Congress, as the Copyright Office is part of the Library. This bill would take the appointment out of the hands of the Librarian and put it in the hands of the President. The Register of Copyrights does a number of important, nonpartisan, non-political jobs. As the name implies, they register copyrightable material. But they are also charged with providing advice to Congress and “information and assistance” to others in the federal government on copyright. It’s important to note that, except in rare, narrow circumstances, the Register of Copyrights does not make copyright policy. Congress does. The Register of Copyrights does not do the same things the heads of executive departments and judges do. Picking someone for that job the same way those are picked—appointed by the President and a confirmation process in the Senate—does not make sense for it. Because the Register is charged with providing advice and information and not with making policy, making the job as apolitical as possible is a good thing. A Presidential appointee, chosen for adherence to the beliefs of the President, is more politicized, not less. A Presidential appointment also means more avenues of influence by special interests, including the major media and entertainment companies that continually seek to expand the scope of copyright for their own benefit, not for individual creators or users. The unusual (and possibly unconstitutional) procedure set out in the bill compounds this problem: the Register would be chosen by the President from a list of people compiled by the leaders of the House and Senate, who themselves may be beholden to the entertainment industry and other special interests. 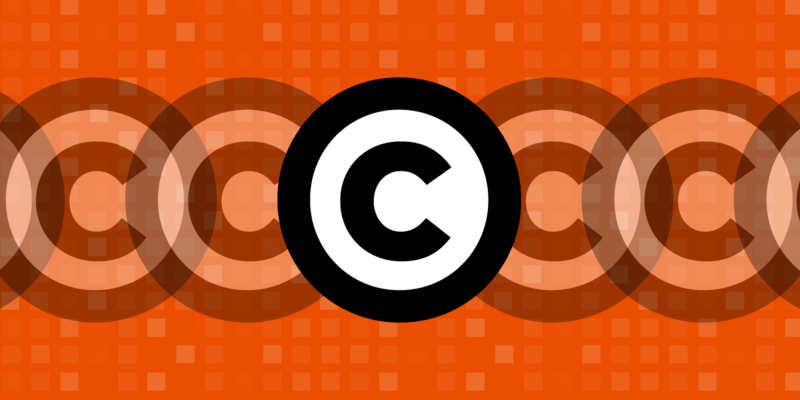 Copyright affects how we interact with so many things, from the obvious—movies, books, and music—to the less obvious—tractors, cars, and phones. And the Copyright Office has a hand in deciding, for example, what kind of research security experts can do. Why? Because Section 1201 of the DMCA makes it illegal to break access controls on copyrighted material without an exemption from the Copyright Office, and security researchers often need to do just that to determine how safe the devices in our homes really are. When the Copyright Office wades into policy, we get things like its support of the Stop Online Piracy Act (SOPA) and its allowance of MPAA lobbying to undermine the FCC’s plan to bring competition to the cable box market. An appointee charged with an agenda from the President and nominated by politicians who depend on big-money corporate donors for their re-election can only be worse. The Copyright Office has gotten more political over time, but the solution is not to help it along. We don’t need a Register that is a Presidential pawn. We don’t need this bill. Tell your Senators to vote against it.